Our unique boatshed and marine repair facility is steeped in history and is one of few remaining original working boat sheds in Pittwater. We are located in Avalon on Sydney’s Northern Beaches just an hour from the CBD and an easy passage by boat from Sydney Harbour. Onsite we have a comprehensive repair facility. Our expert tradesman include shipwrights, electricians, marine mechanics. marine painters, cover makers and detailers who are all well respected in the industry. Our incline slipway consisting of 3 cradles, carrying out antifouling services, all underwater work and out of water survey slippings for pre-purchase inspections and insurance purposes. Careel Bay Marina has 96 Moorings in the bay, professionally managed boat storage, a small kiosk, kayak and stand up paddle board hire, great coffee and provisions for your day out on the water. Our friendly staff are here to assist you with all your boating needs. It is always a pleasure to have my boat serviced at Careel Bay Marina, the friendly staff both efficient and knowledgeable, dealing with all manner of technical issues in a very professional manner. My Halvorsen never looked so good! Plus they make a fabulous coffee. 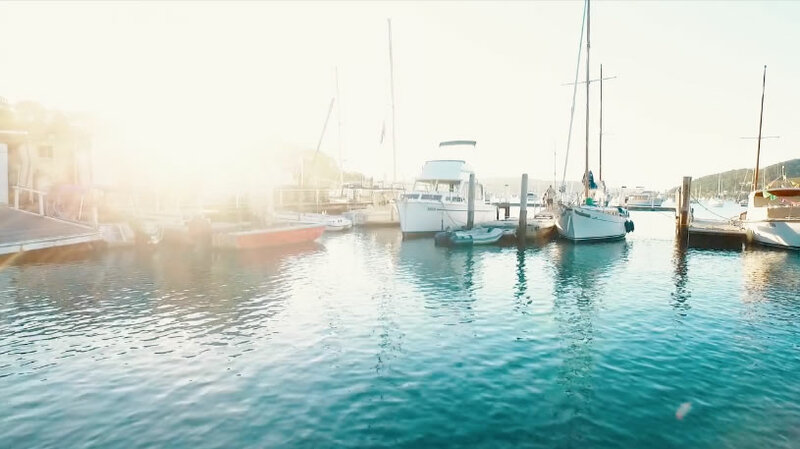 Watch our video, for a glimpse into Careel Bay Marina in autumn.